Dr. Bruce Sigsbee will discuss compensation formulas and Dr. Orly Avitzur will offer tips on successful ways to market your practice on Nov. 6 at the 2009 AAN Fall Conference in Las Vegas. When practices break up, money is often at the core of the matter, with at least one physician feeling that income is not being distributed fairly. Tough economic times only worsen the tension, and for neurologists already feeling the squeeze from poorly reimbursed cognitive services, the temptation to jump ship can be hard to suppress. It's perhaps no surprise that neurology now ranks third among specialties in growth by number of recruiter job search assignments, with a 45 percent increase over the past year, according to a 2008 survey by the physician recruitment firm Merritt Hawkins & Associates. If you're in a practice that has lost a member, or if you're hearing rumblings of dissatisfaction, it may not be a bad idea to re-evaluate your group's salary structure. Whether you work in a practice with an equal share model — where there is variable compensation based on productivity — or a hybrid of the two, it's an issue that affects us all. “Warnings should occur when physicians are fighting and compensation is becoming divisive,” said Bruce A. Johnson, author of Physician Compensation Plans: State of the Art Strategies (MGMA, 2006), and partner at Faegre & Benson, LLP, a law firm specializing in health care practice groups. “Completely reasonable clinicians become agitated, anxious, and even angry when dealing with compensation and finances,” said Bruce Sigsbee, MD, medical director at Penobscot Bay Physicians and Associates and treasurer of the AAN. Dr. Sigsbee, who will discuss this subject at the 2009 AAN Fall Conference in Las Vegas on Nov. 6, pointed out that one of the most difficult issues is the method of determining compensation for its members. Physician practice compensation structures range along a continuum from “team-based” models involving all or a portion practice profits net of expenses distributed on an equal share, to “individualist” models that measure physician productivity, Johnson explained. Claire Levesque, MD, a neurologist who practices outside of Boston, has worked with several groups under arrangements based on productivity alone in which she receives a percentage of collections. She likes getting paid based on actual work performed but said the trade-off is that she receives her paycheck weeks after seeing the patients. “It's really important to work with a group you really trust and one which has an effective billing system,” she advised. She also believes it's essential to devise a way to track your pay and make sure that you are getting what you earned, either by doing it manually or by having access to the billing system. Another neurologist (who requested anonymity) has been a member of a large neurology group for over 20 years. Full partners in the group share equal salary (and equal call) and although there are opportunities for additional income for extra hours outside the assigned schedule at a fixed rate per hour, there is no productivity incentive. “One of the major advantages is that no one fights over non-paying patients,” he said. Those two examples — fixed salary compensation and pure productivity — represent the extremes, but there are numerous options in-between: base plus productivity incentive systems that pay a portion of total compensation on a guaranteed basis in the form of a base salary; systems that have a share of profits distributed equally, with the remainder based on production; and systems that use various approaches to allocation of overhead. “There are as many methodologies as there are groups,” Johnson said. For the past eight years, Reginald V. Hall, MD, has been part of a two-person group, Carroll County Neurology, PC, in Carrollton, GA, in which compensation is based on a hybrid system. The neurologists share an equal base salary but include bonus payments based on productivity every six months. They also allocate expenses based on utilization so, for example, a neurologist may get a higher bonus during one set period because more EMGs have been performed, which is responsible for a higher percentage of related variable costs such as EMG technician salary. “When we've seen something askew, we've been able to come together at quarterly meetings and iron out any problems,” said Dr. Hall, who finds the system works well due to mutual respect and a shared philosophy. The neurologists are currently seeking a new associate. When the new member starts, he or she will receive a very competitive starting salary based on experience and a fair and obtainable bonus based on productivity. Under his group's system, each member gets production credit for the billed amount, not what is collected, so there is no personal penalty for seeing Medicare or Medicaid patients — underpayment and bad debt are spread equally, he explained. Billed charges — gross revenue before operating expenses — are only one type of performance measure upon which productivity is typically based. Other practices use receipts (net revenue after expenses), patient encounters, or work relative value units (RVUs), the system Medicare uses to calculate reimbursement. Sally Seiler, who manages a 16-person practice and is a member of the AAN Business and Research Administrators in Neurology group, has been using an RVU-based system for the past 14 years. RVUs reflect the work performed by the physician as related to CPT codes and ignores insurance mix, reducing the temptation for members to cherry pick the better payers. 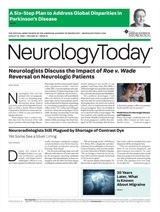 Neurology Today9(6):24-25, March 19, 2009.